Thanks for your interest and support, and our very best wishes for the remaining Holidays. Firstly my personal greetings and thanks for subscribing to our Newsletters and sharing various OBRL news announcements and posts with your own friends and networks. Please also share this one. 2. A new edition of the OBRL Newsletter will be prepared and posted out before the year’s end. 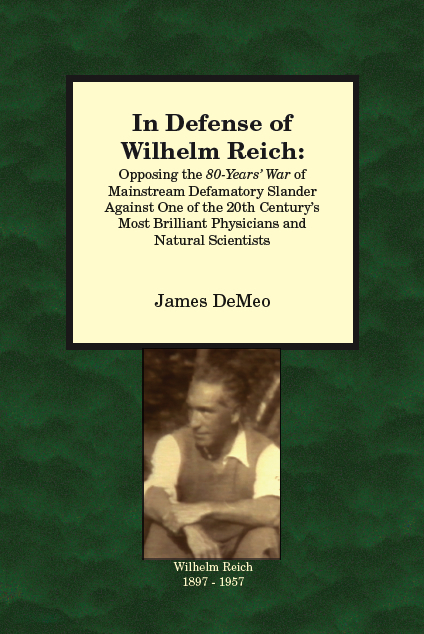 In Defense of Wilhelm Reich: Opposing the 80-Years’ War of Sander and Distortion Against One of the 20th Century’s Most Innovative Physicians and Natural Scientists. This book will give a timeline summary of Reich’s work and discoveries, with a side-by-side discussion of the malicious and sometimes deadly attacks which came as a consequence. It will cover both the period of Reich’s lifetime, as well as the period after Reich’s death into recent years. 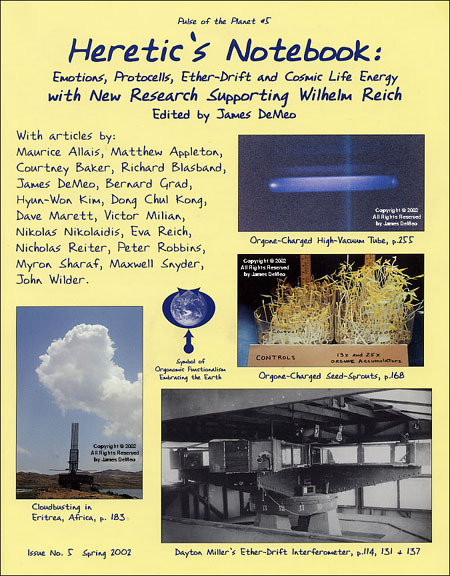 Important information will also be included on the primary scientific replications and experimental verifications of Reich’s science over the years. 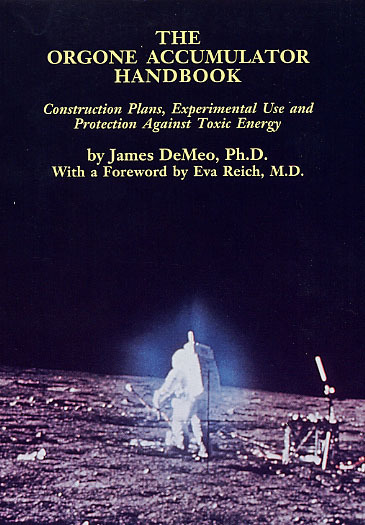 It will cover the attacks against him by the Nazis, by the German and Soviet Communist Parties, by the Psychoanalysts, by Mildred Brady and Martin Gardner, the FDA attacks, the CSICOP attacks, the Makavejev film slanders, the recent slanders in Christopher Turner’s "Orgasmatron" book, and those within a recent "documentary" film from the UK, with a mention of the many lesser villains in the cast of ugly characters who organized over 80 years to destroy Reich’s life and his research legacy. It really is a motley crew of bad actors, who by their very persistence and extreme maliciousness demand an understanding of their motivations, beyond simple "disagreements". And that also is discussed in the book. Keep alert for future announcements. Usually this kind of research and publishing is undertaken within the well-financed umbrella of a major university or research institution. But as you will all know, the 80-Years War of slander against Reich’s name and work – which resulted in the most outrageous example of government book-burning in American history and Reich’s death in prison for daring to stand up for his research findings – has made that kind of open support nearly impossible. So the research activities at OBRL are fully dependent upon our own resources, and the generosity of our supporters. Also as a recommended Christmas holiday season present to your friends and family, please consider to gift our books – or to purchase for yourself if you do not yet have them. 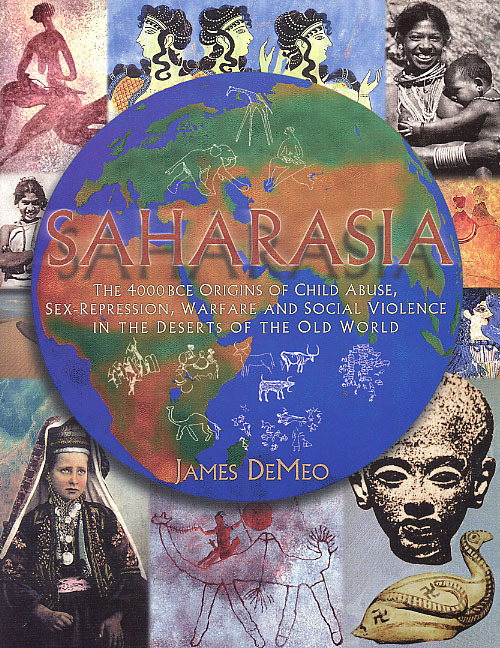 Especially the updated and revised editions of Saharasia and Orgone Accumulator Handbook contain a lot of new information not found in the early editions.